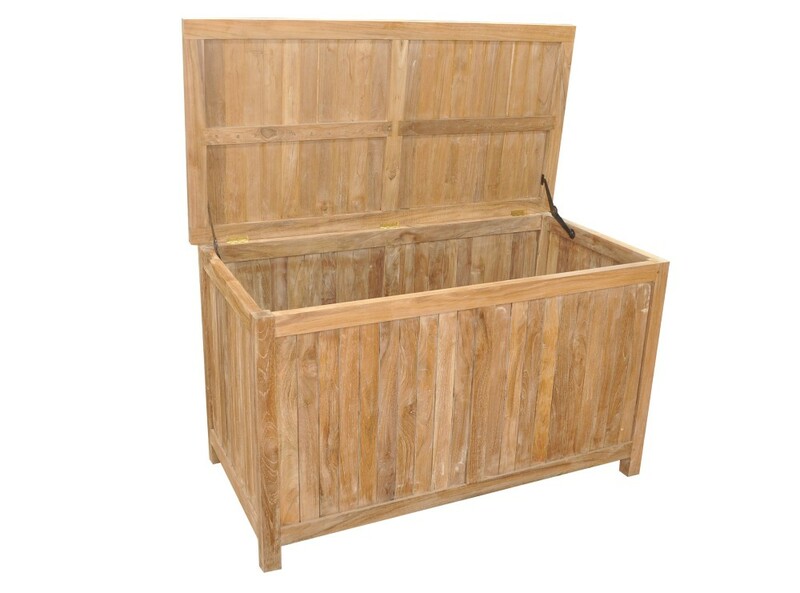 A deep and roomy solid teak storage box perfect for your garden or patio. Made of solid teak slats with brass hinges. Delivered fully assembled. Please note this storage box is water resistant and not fully water proof.